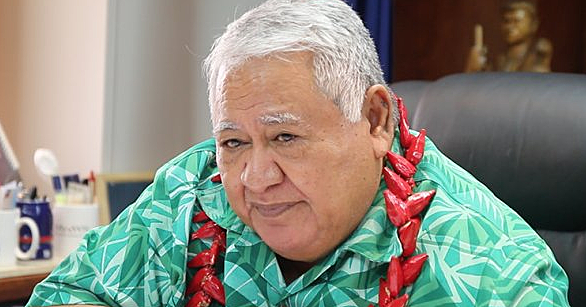 The phrase is what guided young Jorim-Paul Tagutugutu Phillips of Levili and Vaimoso to being declared the Dux of Fa’atuatua College yesterday. Held at the Peace Chapel Hall at Vaimea, the school’s end of year prize giving was well attended by families and friends. The 16-year-old is the fourth of six children of Tauā Paul and Vivienne Seutatia Phillips, owners of Pacific Jewell Gift Shop and Garden Café at Levili. He comes from a family of high achievers. In 2011, his eldest sister Matilda Phillips was the dux for Fa’atuatua College followed by his other sister in 2012, Grace Phillips. 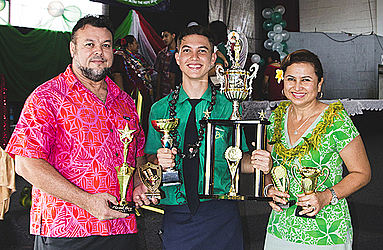 “I want to become a pediatrician and a missionary in the future,” he told the Samoa Observer. “It was a challenging journey and there were times that I felt like giving up but because I come from a family of high achievers, that kept me on my feet and made me try my very best. “Today I feel humble, but my heart gives thanks to the Almighty God for being with me throughout the years of my college life. “This is not the end but the beginning of another long journey. So what’s next for the 16-year-old? “Well, hopefully I can get in to the National University of Samoa and I will try my best to get a scholarship to Otago University,” he said. 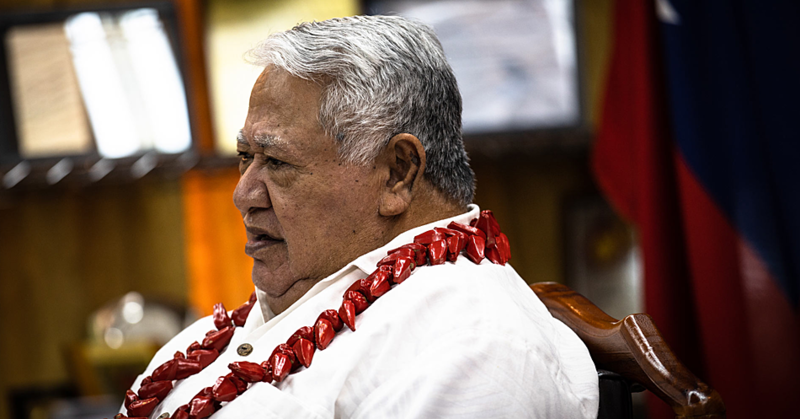 Jorim-Paul’s father Tauā was overcome with emotions when he was asked how he felt about his son’s achievement. “I’m out of words,” he said. “But just like other parents, I am one proud father today. Jorim is very obedient and most especially, he loves God. During Jorim’s speech, he acknowledged the support of his family, teachers, principal as well as his fellow classmates for a year of excitement. “Thank you all for making this year a truly a memorable one,” he said during his speech. “I pray that as we move on with our own lives, that we’ll remember all the times we spent together and that we’ll always be friends. 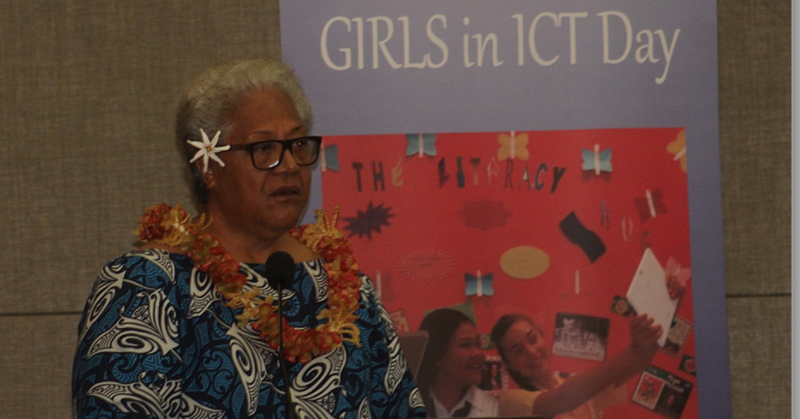 “Fa’atuatua is an amazing school not just because of the principals or the teachers. “And not just because of its students or its status.